Korean children’s writer Jun Sung Hyun made her literary debut in 2009, winning the Chosun Ilbo Spring Literary contest with a children’s short story titled “Yes, That Was You”. 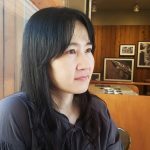 In 2011, she won the 15th Changbi Children’s Book Prize for her full-length story The Lost Diary. 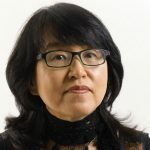 Jun’s published works include the full-length children’s books The Lost Diary (2011), Siren (2014), and Two Moons (2018), and the children’s short story anthology Sinkhole (2018). Choi Jeongrye was born in a city near Seoul. She studied Korean poetry at Korea University and received her PhD from the same school. She participated in the IWP (International Writing Program) as a poet at University of Iowa in 2006 and stayed one year at University of California in Berkeley as a visiting writer in 2009. Her poems were appeared in Free Verse, Iowa Review, Text Journal, World Literature Today and various Japanese literary magazines. An English-language collection, ‘Instances’ (which she co-translated with Wayne de Fremery and Brenda Hillman) has been published. She is currently teaching as a lecturer at Korea University. Both of these residencies were supported by Arts Council Korea (ARKO). 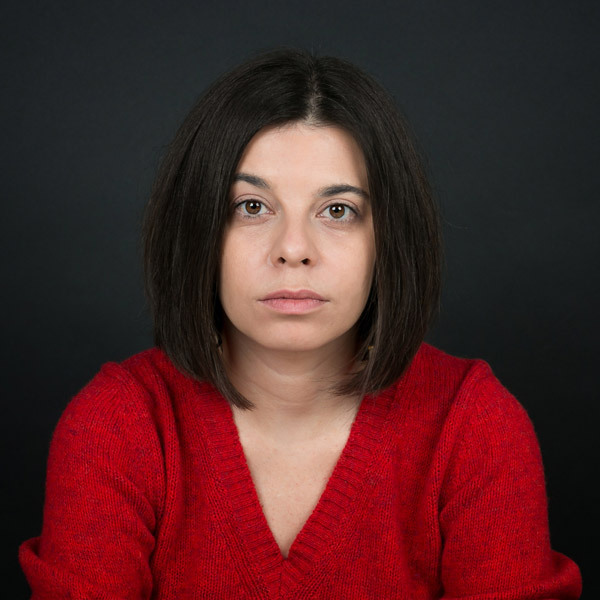 Ivanka Mogilska is a Bulgarian author with five published books: a short story collection, two novels, and two poetry collections. She loves to invent and tell stories, to travel and to do what she likes. Some of her poems and short stories are available in translation into English, French, and Hungarian. Her latest novel, Sudden Streets (Janet 45, 2013), was published into Hungarian under the titleVáratlan utcák, translated by Peter Krasztev (European Prose Series, L’Harmattan, 2017). More information about Mogilska is available in English here. This residency was in partnership with the Elizabeth Kostova Foundation and is supported by the Embassy of the Republic of Bulgaria in London and the State Institute for Culture at the Ministry of Foreign Affairs. You can read about Ivanka’s experience of the residency in the features section of this website. 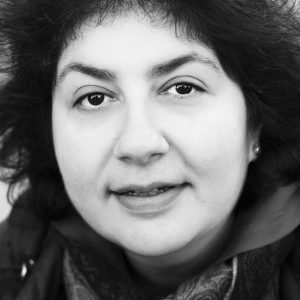 Nazli Tabatabai-Khatambakhsh is an award-winning independent theatre maker born in Iran and now based in Scotland part of the National Theatre of Scotland’s The Scale of Female Ambition. Over Nazli’s career in venues and touring she has developed a strong leadership role in producing diverse theatre in the UK, in particular, looking at themes of the Middle East and the lives of women. She also led on Creative Case NORTH, which is a re-imagining of Arts Council England’s approach to diversity and equality. She is an International Society for the Performing Arts (ISPA) Fellow. She is currently writing a new version of the ancient Greek tragedy Medea. Nazli’s residency at the National Centre for Writing was part of Visiting Arts’ programme promoting contemporary Iranian literature and culture in the UK.